The kitchen is an essential part of your house which tend to become dull overtime as it is one place you use every day. You feel the need to renovate your kitchen to make it more lively and refreshing. So when you remodel your new kitchen you need to consider several things like kitchen cabinets, color of the kitchen tiles and countertops, installing some designer wash basin and decorating the kitchen with attractive lighting system. Therefore, it is important to sketch the layout of the kitchen design and then initiate the new kitchen-designing project accordingly. May be you are going to renovate the kitchen area of your rental house or you want to design the new kitchen of your newly owned house, the matter is to concentrate on the renovation of the kitchen, and you have to consult with some kitchen designers for the same. 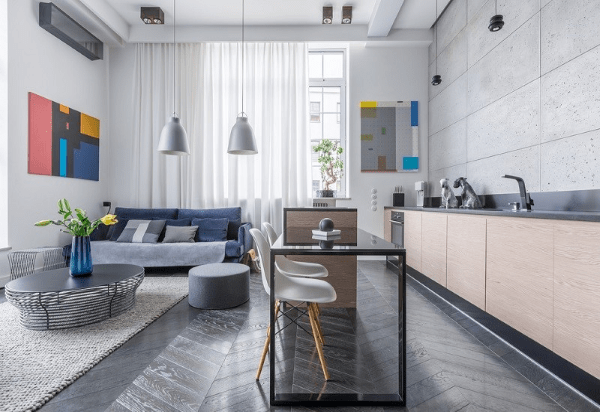 But for the rental accommodation, you need to get the permission from the owner and fulfill the legalities before you initiate the new kitchen designing. 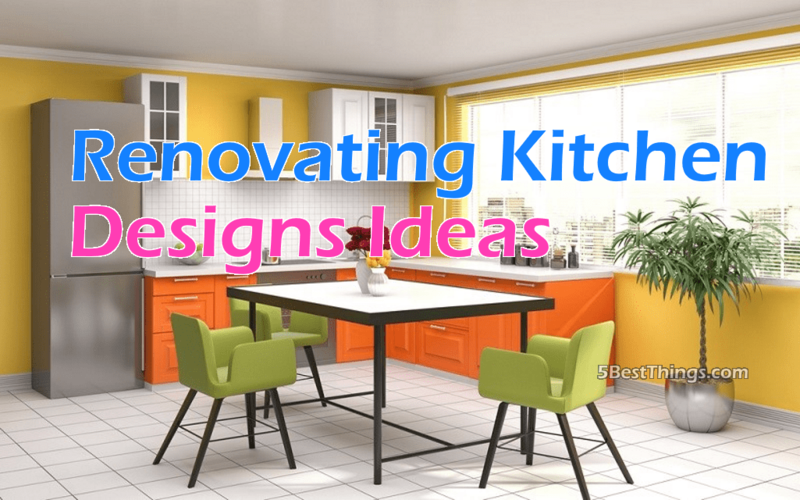 When you renovate your kitchen, you need to sketch down the layout and in this regards you need to learn about latest trends in kitchen designing. For that, you can explore for new kitchen designs from different online portals and you can also visit your family and friend’s home to see their kitchen. Then you will get ideas about latest kitchen designing trends and you can easily initiate your own kitchen-designing project accordingly. Firstly you need to decide that you need to decorate your kitchen with traditional designs or you need to include some latest trends in your kitchen. Then you can go on with the designing task accordingly. Else you can also mix both styles and make your kitchen in a different way. 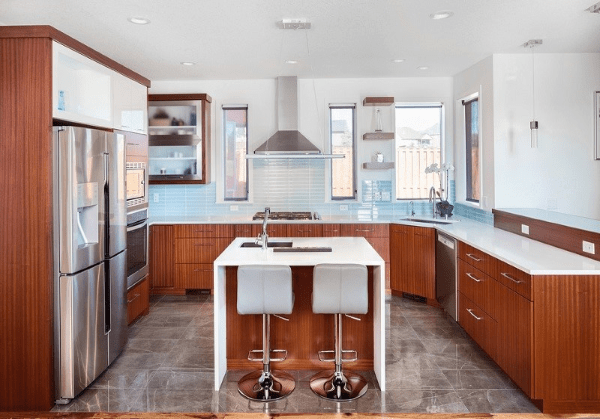 You can install some light-colored wooden kitchen cabinets designed in a traditional way, and then you can install some glass cover on these cabinets to make them contemporary. Secondly you need to decorate your new kitchen with proper lighting options and you need to install sufficient ventilations in your kitchen. You can install some skylights and windows in your kitchen and through these sources you will get sufficient natural lights and air during daytime which will keep your kitchen fresh and germ-free. LED lighting also adds to the looks as they can be kept hidden, do not heat up the cabinetry, and come in different shapes, colors, and lighting shades. You need to choose the proper color for your kitchen wall and you may do some contrast color for your kitchen. For example, you can choose some light colored kitchen cabinets and install some floral colored tiles on the kitchen walls.. You need to maintain these kitchen attachments including cabinets, walls and floors on regular basis to keep your kitchen hygienic. When you start remodeling your kitchen, you need to concentrate on the storage capacity of the kitchen cabinets. In this regards you can choose the custom kitchen cabinets because in this way, you can design your kitchen cabinets according to your space limitations. You need to include multiple drawers and shelves inside these cabinets to store maximum items. You can design the kitchen cabinets with some separate drawers where you can store your spices and utensils. You can also make some long cabinets or shelves where you can decorate your cutlery sets and wine bottles. Apart from that, LED lighting system is very useful for your kitchen because it will save your electric consumption bill and it will provide you sufficient light. So now hire some kitchen designer and start your new kitchen decoration.